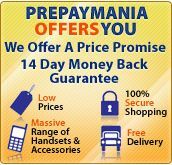 PrePayMania currently offers FREE delivery on all orders. Stock items ordered before 3.30pm (Mon-Fri), we aim to dispatch the same day. If not then it will be dispatched the following day. 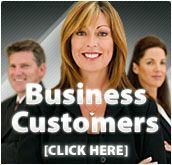 We use Royal Mail 2nd Class Recorded Delivery for all of our deliveries. Delivery is usually within 5 working days. Can be longer at times. For Expedited deliveries we use UPS. Expedited Delivery should take 24hrs from date of dispatch. PLEASE NOTE: For PayPal paid orders if the address is unconfirmed your order will be held for 3 working days for your online protection against fraud. Biggest Discount Offered this season !!! (ie.between 18:00 to 22:00 Friday).